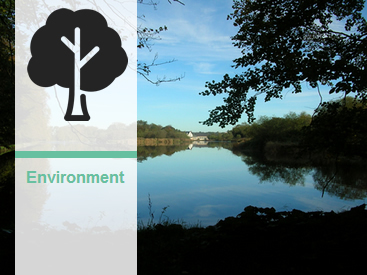 The Environment Section has responsibility for environmental protection throughout Tipperary. This involves the enforcement of environmental legislation in the areas of waste management and pollution control. It also involves the provision of recycling centers and bring banks in the county. The directorate is also responsible for the enhancement of the local environment, and promotes sustainability through environmental awareness initiatives. My neighbour is spraying cars etc from a shed in back garden and the smell of paint etc is impacting on me. What are the regulations? It is likely that Planning Permission is required - contact planning who will investigate and verify. Your neighbour is likely to require a certificate of compliance from Tipperary County Council - contact Environment Section who will investigate. Does a smoky coal ban apply in Tipperary? At present ban on sale\burning of bituminous coal only applies to Clonmel. I have a Dry Cleaning Business. Do I need a licence or permit? Tipperary County Council issues Certificates of Compliance based on the submission of Approved Assessors Report along with the prescribed application fee of €70. Certificates are valid for a maximum period of 3 years. Where can I get further information on Solvents? The Environmental Protection Agency (EPA) has published Information Note 1.1: FAQ Solvents and Deco Paint Regulations. The purpose of this Information Note is to provide Local Authorities and Operators subjected to the above Regulations, answers to the numerous queries that have been submitted to the EPA since the Regulations were introduced in January 2013. This Information Note may be updated in the future should additional questions be raised. I have a Car Repair business and I spray paint cars. Do I need a licence or permit? Operators of Car Spraying / Vehicle Refinishing business are legally required to obtain a Certificate of Compliance from their local authority (Environment Section) relating to solvent emissions from their premises, in accordance with S.I. No. 564 of 2012 European Union (Paints, Varnishes, Vehicle Refinishing Products and Activities) Regulations 2012. Tipperary County Council issues Certificates of Compliance based on the submission of an Accredited Inspection Contractor’s (AIC) Report along with the prescribed application fee of €70. Certificates are valid for a maximum period of 3 years. Where can I get further information on Decorative Paints? In relation to solvent emissions do I need Certificate of Compliance even though my business is part-time small in scale? The re-spraying of cars and dry cleaning activities are regulated to minimise harmful effects on our environment and health. Car paint and dry cleaning raw materials contain Volatile Organic Compounds (VOC’s) which can evaporate into our atmosphere, even at room temperature. This can cause respiratory illness and have potentially harmful effects on our environment. There is a very loud noise in my neighbourhood which is very annoying can you do something about it or advise me. What action can I take? There are a number of steps open to you under the law when you are experiencing nuisance caused by noise. The procedures detailed below are designed to cover general neighbourhood type noise problems, such as continual noise from other houses home workshops, local businesses etc. Initially, it may be sufficient to explain to whoever is causing the noise that it is a nuisance and come to some mutually acceptable understanding. In the case of noise emanating from multiple occupancy rented accommodation, the landlord (or the Housing section of Council in the case of local authority housing) should be contacted to determine if breaches of the tenancy agreement have occurred. Finally, you may exercise your right to make a formal complaint to the District Court seeking an Order to deal with the nuisance. Forms are available from the District Court office. I have a business which is not involved in Dry Cleaning or Car Refinishing but uses organic solvents what is the legal requirements? You may require a Certificate of Compliance from the local authority or License from the Environmental Protection Agency (EPA) depending on quantities of solvents used per year and the type of activity. You should contact the Environment Section Office and arrange meeting with person dealing with organic solvents who will clarify. Who do I contact regarding problems from barking dogs? Problems arising from barking dogs are covered under the Control of Dogs Acts 1986 & 1992. A copy of the Form used for complaints to the Courts about noise from dogs is available to download from the following link..
What can be done about the noise from crow guns/bangers? If the use of noise devices by farmers, to scare off birds eating their crops (knows as "crow guns/bangers") is causing a nuisance, and you consider that the noise to be so loud, so continuous, so repeated, of such duration or pitch, or occurring at such times that it gives you reasonable cause for annoyance you can initiate action to deal with it. Initially, it may be sufficient to explain to the farmer that it is a nuisance and so come to some mutually acceptable understanding. Finally, you may exercise your right to take redress through the District Court under the Noise Regulations. However, before proceeding with a complaint, you are advised, to consult your local authority (where applicable) or seek legal advice. What is the role of the District Court in dealing with Noise Nuisance? The District Court hears both sides of the case. If it finds in your favour, it can order the reduction of the noise to a specified level; limit it to specific times or to cease altogether. How do I complain to the District Court? You must inform the person concerned that you will be making a complaint to the District Court. The date for the hearing of the case must be at least seven days later than the date you inform the person or body causing the noise. You have to fill out a form available from the District Court Clerk and present your case in court. As a general rule, it is important to have a record of the times and dates when the noise nuisance occurred. Why Do We need These Bye-Laws? To reduce illegal dumping and backyard burning. If you fail to comply with any of the requirements of the bye-laws it may result in a Fixed Penalty Notice (Maximum €75) being issued by this local authority or member of An Garda Síochána. It may also lead to fine on convictions of up to €2,500. What Do I Do if I Live In a Managed Apartment Complex? The bye-laws will still apply; the management company is to ensure adequate containers are provided for residual and recyclable wastes in designated waste storage points. They are also obliged to provide you with the written information regarding the arrangements in place. Segregation within the apartments will be the responsibility of the occupant, in order for the segregated system to work all apartments must play their part. Yes: you must segregate recyclable waste from your residual waste and present these separately. If you are living in an urban area, small town or village with a population of over 500 you must also segregate your food waste. How Do I Comply With The Bye-Laws? You can demonstrate regular use of an authorised waste facility. Where do I apply for a Waste Collection Permit? From the 1st February 2012, all new waste collection permit applications and applications for the review of waste collection permits shall be processed by the National Waste Collection Permit Office (NWCPO), Offaly County Council, Ara an Chontae, Charleville Road, Tullamore, Co. Offaly. Tel: 057 9346800. Does Tipperary County Council operate an asbestos collection and disposal service? Tipperary County Council does not have a licensed facility to accept asbestos. You should contact a licensed waste contractor (ensuring they are licensed specifically to deal with asbestos). What does Tipperary County Council do about noise pollution? Tipperary County Council deal with noise complaints from commercial and industrial activities, but it is not the policy of Tipperary County Council to become involved in domestic noise complaints between neighbours. The County Council encourages the affected person to approach the person causing the noise nuisance, and explain that it is a burden and try to come to a mutually acceptable solution. What is the remit of the Environment Section in relation to animal related complaints? Animal complaints relate to items such as Dogs, Horses, Animal Carcasses in public places, etc. A member of the public can make a complaint regarding excessive barking of dogs to the district court by making an application under Section 25 of the Control of Dogs Act, 1987. The form can be downloaded using the more information link below. A member of the public can make a complaint regarding control of horses, animal carcasses in public places, etc. The Citizens Information website has some information regarding control of horses, dogs, etc. What is the remit of the Environment Section in relation to Derelict Sites and Dangerous Structures? Land that detracts from the amenity of land in the neighbourhood by allowing its buildings fall into ruin, or is neglected or collects litter, rubbish, debris or waste, can be derelict. The Environment Section will work with the Municipal District to address issues relating to Derelict Sites and Dangerous Structures. The Citizens Information website has some information regarding derelict sites and dangerous structures. What is the remit of the Environment Section in relation to noise complaints? What is the remit of the Environment Section in relation to water complaints? Who needs a Waste Collection Permit? Any person collecting and transporting of waste for profit, reward or, otherwise in the course of business needs a waste collection permit. Under Section 34 of the Waste Management Acts 1996-2011 the collection and transporting of waste for profit or reward or otherwise in the course of business requires a waste collection permit issued by a local authority, in accordance with the requirements of the Waste Management (Collection Permit) Regulations 2007, as amended. Does the Council accept waste? Yes, at our civic amenity centres in Cashel, Clonmel, Donohill, Nenagh, and Roscrea. Where are the recycling centres / civic amenity sites? Click above for further information on Opening Times, accepted materials and charges. Where can I dispose of farm waste .e.g. farm film plastic, herbicides, pesticides, empty plastic drums? Farm Relief Services will collect farm film plastic and empty plastic drums. For disposal of waste herbicides and pesticides contact the supplier. ** Only plastic containers/bottles are taken at the Nenagh and Roscrea Sites. Where can I dispose of my Christmas Tree? Parnell Street Car Park, Thurles. They can be disposed of after Christmas at appointed times. Request to have the bring banks emptied? Email customerservice@rehabglassco.ie to make arrangements to have the bring banks emptied and c.c. the email to environment@tipperarycoco.ie. Request to have the bring banks moved/removed? Please Contact the County Council on 0761 065000. Request to have bring banks installed? Request to have containers added or removed from the bring site? Location of bring banks in the County? There are 115 bring centres that can be used to dispose of glass and cans see attached list. There is also one bring bank that can be used to dispose of newspapers at Civic Offices, Clonmel. What specified areas in Tipperary are affected by the Household Food Waste and Bio-Waste Regulations? Where can I recycle my electrical items (WEEE) in Tipperary? •	Donohill Recycling Centre near Tipperary Town. I have a query about the Household Food Waste and Bio-Waste Regulations, who do I contact? Any queries in relation to the Regulations or use of brown bins or composting should be addressed to Environment Section at: environment@tipperarycoco.ie or on 0761 065000. I have a query about outstanding bin charges / How do I pay outstanding bin charges? Contact the Council on at customerservices@tipperarycoco.ie or on 0761 06 5000. I have a query about the Packaging Waste Regulations, who do I contact? Any queries in relation to the Regulations should be addressed to Environment Section at customerservices@tipperarycoco.ie or on 0761 06 5000. What does the Household Food Waste and Bio-Waste Regulation mean for me? If you live in Clonmel town and Environs, from the 1st July 2014, you must segregate your food waste and keep it separate from other waste streams. If you live in Ballina, Cahir, Carrick-On-Suir, Cashel, Fethard, Nenagh, Newport, Roscrea, Templemore, Thurles, Tipperary Town, and their Environs, and, the Environs of Birr in Co. Tipperary, from the 1st July 2015, you must segregate your food waste and keep it separate from other waste streams. If you live in Ardfinnan, Ballyclerahan, Borrisokane, Borrisoleigh, Cloughjordan, Holycross, Killenaule, and Kilsheelan, Two-Mile-Borris, and their Environs, from the 1st July 2016, you must segregate your food waste and keep it separate from other waste streams. Are there consequences of not managing food waste properly? Yes. Each local authority is responsible for the enforcement of these Regulations. A person guilty of an offence under these Regulations is liable: (a) on summary conviction, to a class B fine (i.e. up to €4,000.00) or imprisonment for a term not exceeding 3 months or both, or, (b) on conviction on indictment, to a fine not exceeding €500,000 or imprisonment for a term not exceeding 3 years or both. What is the purpose of the Packaging Waste Regulations? The Packaging Waste Regulations were first introduced in 1997. The main purpose of the Regulations is to assist Ireland achieve national packaging recovery targets set under EU Directive 94/62/EC as amended by Directives 2004/12/EC and 2013/2/EU. Are there consequences of not packaging waste properly? A person guilty of an offence under Sections 18, 28, 29, 32, 34, 36 or 39 of the Waste Management Act 1996, as amended, for the contravention of a regulation made under this named Section is liable: (a) on summary conviction, to a Class B fine (i.e. up to €4,000.00) or imprisonment for a term not exceeding 12 months or both, or, (b) on conviction on indictment, to a fine not exceeding €15,000,000 or imprisonment for a term not exceeding 10 years or both. What does the Household Food Waste and Bio-Waste Regulation mean for collectors of waste? All authorised collectors must, from the 1st July 2013, provide a separate collection service for food waste and transfer the food waste to an authorised facility for treatment. Any person (i.e. individual, company or partnership) collecting and transporting waste for profit or reward or otherwise in the course of business requires a waste collection permit. Packaging is any material that packages any item sold on the market and includes cardboard, paper, plastic, glass, wood, aluminium, steel, etc. It includes packaging that comes with a product or which is put on separately for handling, transport, promotion, protection, marketing and sales purposes. Are there consequences of giving waste to a person who does not have a waste collection permit? A person guilty of an offence under Sections 15, 18, 34, or 36 of the Waste Management Act 1996, as amended, for the contravention of a regulation made under this named Section is liable: (a) on summary conviction, to a Class B fine (i.e. up to €4,000.00) or imprisonment for a term not exceeding 12 months or both, or, (b) on conviction on indictment, to a fine not exceeding €15,000,000 or imprisonment for a term not exceeding 10 years or both. Bring the food waste to an authorised facility. Note: if a person home composts all reasonable steps shall be taken to minimise the creation of odours and nuisance. Deposit food in the residual waste collection bin. Are there any exemptions available for waste permits? Yes. In certain circumstances the requirement to hold a waste collection permit may be exempted by ministerial regulation, subject to the collection being carried out in compliance with such requirements as are specified in the Regulations. Who is obligated under the Packaging Regulations? The Packaging Waste Regulations place obligations on persons, companies or partnerships (i.e. ‘Producers’) that, in the course of business, place packaging, packaging material or packaged products on the Irish market. Producers include shops, supermarkets, retailers, pubs, manufacturers, importers, fast food outlets, etc. When are the dates that no Slurry spreading can take place? (c) 1 November to 12 January in the case of the application of farmyard manure. How do I get a brown bin? Your bin collector is obligated under the Regulations to provide you with a brown bin and collection service and should contact you prior to the 1st July 2014 to offer this service to you. Why do I need a Waste Collection Permit? Section 34 of the Waste Management Act 1996, as amended, makes it an offence to collect waste without a waste collection permit. What must Producers do under the Packaging Regulations? All producers must segregate their packaging waste arising on site into specified waste streams and ensure that it is recycled or recovered by an authorised waste contractor. Producers must not contaminate packaging waste. All producers must not supply packaging unless the packaging complies with the requirements of the ‘Essential Requirements’, set out in the Regulations. Producers with a turnover of more than €1million that place 10 tonnes per annum of packaging on to the Irish market (known as a ‘Major Producer’) are obligated to participate in a recovery scheme operated by an approved body (i.e. join REPAK) or to register with their Local Authority (Self Compliance). How much will a brown bin cost me? Waste collection services are privatised in Tipperary therefore every collector has a different pricing structure and collection frequency. You should contact your collector directly to ascertain the cost, if any. The waste collection market is highly competitive and householders can ‘shop around’ to find the most suitable service for themselves. How do I get a Waste Collection Permit? You must apply to the National Waste Collection Permit Office (NWCPO) for a waste collection permit. From the 1st February 2012, all waste collection permits are issued by the National Waste Collection Permit Office (NWCPO), on behalf of all local authorities, under the Waste Management (Collection Permit) Regulations 2007, as amended. You are advised to engage in a pre-application consultation prior to lodging an application. Who are the major producers of Packaging in Tipperary? Please see REPAK web site (www.repak.ie/members_list.html) for a list of major producers who are exempt from partaking in self compliance with the Local Authority as long as they are registered REPAK members. These companies are not obliged to accept packaging waste similar to that which they place on the Irish market, as long as they remain REPAK members. I am considering emptying septic tanks as a commercial venture what do I need? What can I put into my brown bin? Note: Householders should contact their collector to ascertain if they can collect grass cuttings and light garden waste. What are the contact details for the National Waste Collection Permit Office? National Waste Collection Permit Office (NWCPO), Offaly County Council, Ara an Chontae, Charleville Road, Tullamore, Co. Offaly. Please visit www.nwcpo.ie for more information. Who are the major producers of packaging that are Self Complying in Tipperary? These companies are only obliged to accept packaging waste similar to that which they place on the Irish market. Also they do not have to accept contaminated packaging waste. Note: Members of the public must segregate their waste and ensure that it is clean and in suitable condition for recycling / recovery at each of these self complying premises. Can I store sludge on my land? No. All fertilisers must be stored in appropriate effluent storage facilities. Land storage is tolerated for the activity of immediate landspreading and such deposits must be well distanced from any vulnerable watercourses. What are the benefits of separating my food waste? Bio-degradable waste is actually a resource, it can be composted or treated through anaerobic digestion to produce compost or digestate that can be spread on the land, removing the need for chemical fertilisers and can also be a source of energy production. All this will help create and secure jobs, help reduce our dependence on fossil fuels and improve our carbon footprint and assist in Ireland’s promotion as a green economy. What are the waste collection permit regulations? The Waste Management (Collection Permit) Regulations, S.I. 820 of 2007 and Waste Management (Collection Permit) (Amendment) Regulations S.I. 87 of 2008, came in to effect on the 01st June 2008, set out the procedures for the making of waste collection permit applications, public consultation, consideration by local authorities of submissions in relation to waste collection permit applications, and the grant, refusal and review of waste collection permits by local authorities. In relation to packaging waste what are the ‘Essential Requirements’? The ‘Essential Requirements’ have been designed specifically to reduce the environmental impact of packaging and to avoid over-packaging. Packaging weight and volume should be minimised to the amount needed for safety, hygiene and acceptance of the packed product. Packaging must be recoverable and be suitable for recycling, energy recovery, composting, or reuse if designed for reuse. Levels of specified noxious materials must not exceed 100 parts per million and should have minimum impact on the environment at end of life after recycling or energy recovery. Anything that has a plug or a battery and is at the end of its useful life. In the house, old and broken fridges, washing machines, etc. are examples but don't forget the little guys! Remote controls, batteries, electric toothbrushes and even your old bicycle lamps can also be recycled! Why do we have the WEEE Regulations? The Regulations are in place to improve the way electrical and electronic waste is managed. Will my brown bin be smelly and messy? There are a number of bin and caddy liners available from supermarkets that can be used in your bin if desired, see below for type of liners to use. Where can I get a copy of the waste collection permit regulations? Please note these regulations are subject to amendment from time to time. What must a Major Producer of packaging waste who is self-complying with a Local Authority do? Once obligated, apply to the Local Authority for registration and renew such registration not later than the 31st January each following year. Display a notice at each entrance to a supplying premises stating that packaging waste of the type placed on the market by the producer, will be accepted free of charge for the purpose of recovery. Provide adequate facilities at each supplying premises for the acceptance, segregation and storage of packaging waste. These facilities will be advertised to customers. Accept or collect from any person (free of charge), at each supplying premises, packaging waste of the type or brand supplied by the producer. Ensure packaging waste accepted/collected is either transferred to a producer of packaging or is made available for recovery. A major producer, who is an importer of packaged goods or a packer/filler, must accept or collect not less than 60% by weight of the packaging imported/pack-filled by that producer in the previous quarter. Prepare a plan specifying the steps to be taken to comply with the regulations. Applications for registration/renewal of registration are required for each premises separately. (Application forms are available on request and a fee of €15.00 per tonne or a minimum fee of €500.00 and maximum of €15,000.00 per application will apply). Compile and submit quarterly reports to Tipperary County Council on the weight of packaging and packaging waste received, supplied, accepted, recovered and disposed of. Compile and submit annual reports and 3-year implementation plans to the Local Authority. Such information is to be retained for 3 years. Advertise twice yearly (March and September) in a local newspaper your take back obligations. What is the effect on householders of the electrical waste regulations? If you are a customer the retailer is obliged to accept back a “One for One” waste appliance or product when you purchase a new one. Should you wish to dispose of old electrical items you can bring them for free to the Council's Civic Amenity Sites / Recycling Centres. What happens to my brown bin waste? When your collector empties your brown bin into the bin truck this is taken to an authorised treatment facility for processing. Food waste and bio-waste is now considered a resource. This type of waste can be processed either at a composting facility or anaerobic digestion facility to produce an end product of compost or digestate that can be utilised on gardens or by farmers on their land. An anaerobic digestion facility can also generate heat and power which can be sold to the national grid. What is the plastic bag levy? It is an environmental levy on plastic shopping bags. The levy is charged at 22 cent per bag. It is imposed at point of sale on the supply by retailers of plastic shopping bags to customers. As the primary purpose of the plastic bag levy is to prevent littering, the levy also applies to bio-degradable plastic bags. For more information and FAQs, please follow the link below to the Environment Section Regulations. What does the Local Authority do under the Packaging Regulations? Local Authorities are responsible for registration, monitoring, auditing, inspecting, reporting and enforcing these Regulations. Local Authorities can issue a Certificate of Registration or refuse an application for renewal of registration as a self-complying major producer under Article 13 of the European Union (Packaging) Regulations 2014. Local Authorities can issue a producer (both major and non-major) with a Notice, under Article 25 of the Regulations, requiring the submission of a Packaging Report, compiled by an approved person, within a stated time frame. In terms of Waste recycling what are the obligations for the retailer of electrical products? •	Retailers are obliged to accept a similar waste appliance or product when a customer is buying a new product. •	Retailers must be registered as a supplier/producer on an annual basis. •	Provision of in-store receipt of household WEEE on a one for one basis on the sale of a new product similar to the one returned. This service is to be provided for free. •	Ensure that any WEEE collected is delivered to an approved recycling facility. •	Ensure that the storage and transport of WEEE collected meets the requirements of the regulations. •	Ensure that private households are informed of the WEEE take back facilities available to them and that they are encouraged to participate in the separate collection of WEEE. Can I put plastic bags into my brown bin? Only compostable bags should be used to line your brown bin or kitchen caddy. There is often confusion between compostable and bio-degradable bags. The main difference is the length of time it takes to decompose, compostable bags will degrade in 4 to 6 weeks whereas bio-degradable bags will take in the region of 18 months, bio-degradable bags are best used for your residual (black) bin as an alternative to plastic bags which can take hundreds of years to degrade. Where can I get a copy of the Collection Permit Regulations? What must I do with my packaging waste? Bring it to a self-complying major producer. Note: if a person brings waste to an authorised waste facility all reasonable steps shall be taken to (i) minimise the creation of odours and nuisance, (ii) ensure it is suitable (clean, dry and uncontaminated) for recycling / recovery, and, (iii) it complies with a major producers obligations, e.g. if glass is not placed on the market by a major producer then the major producer is not obliged to accept it for recycling / recovery. In terms of the recycling of electrical products what advice is there for the Retailer? •	Arrange a suitable, secure space to store WEEE prior to collection by an authorised Waste Collector. If you do not have enough storage spaces try to arrange a more frequent collection or delivery. •	Ensure that all staff are trained and thoroughly familiar with the procedures for complying with the Regulations. •	If your volumes of WEEE are too small to justify a collection, consider combining your waste with another commercial or industrial outlet. •	As a commercial enterprise once you are registered under the WEEE Regulations you are entitled to bring the WEEE to a local authority Civic Amenity Site / Recycling Centre. Be advised it is important to inform the site prior to transport to ensure the site can facilitate you. What do I do with food waste in bottles or containers? It is important to separate any food waste from glass, plastic or cardboard containers as these will cause contamination of the food waste bin and can be problematic for composting. Food waste in any of these containers should be poured or scraped from the container into the brown bin and the container rinsed and placed in the recyclable bin or at a glass collection point. Who can collect waste from households? Only authorised waste collection permit holders may collect waste from households. They must use vehicles that are pre-notified to the NWCPO, appropriately marked with their name and waste collection permit number, and, be authorised to collect each waste type, e.g. mixed municipal waste, brown bin waste, etc. What can I put into my mixed dry recycling bin? Clean uncontaminated dry recyclables such as Paper, Cardboard, Food and Drink Cans, Cartons, Plastic, Plastic Bottles, etc. Note: Householders should contact their collector to ascertain what exactly they place in their mixed dry recycling bin. Glass can be brought to and placed in dedicated bottle banks. You must not deposit clean and uncontaminated packaging in the residual waste collection bin. You must not deposit Food Waste, Glass, Timber, Residual Waste, WEEE, or Hazardous Waste such as Batteries, etc. in the mixed dry recyclable waste collection bin. Is it true that when I buy a new TV, the shop has to take back my old one free of charge? Yes, but this is not just for TVs, it works for any electrical product from stereos to computers. But be warned, it is done on a 'like for like basis' so don't expect the shop to recycle your old fridge when you're only buying an electric toothbrush! Instead, bring this fridge to your local recycling centre. Remember the 15 day rule! You have 15 days to bring back your WEEE to the shop after buying a new item. Bring your receipt as proof of purchase. Should I carry on home composting if i have a brown bin? Yes, home composting is a great way to deal with all your plant derived food waste e.g. fruit and vegetable peelings, teabags and coffee grinds, eggshells, etc. There may, however, be a certain percentage of your food waste that you cannot home compost e.g. raw or cooked meats, these may attract vermin. You should given careful consideration as to how you will deal with this fraction of food waste. You will be in compliance with the Regulations as long as you can demonstrate to Local Authority personnel that you are dealing with your food waste in one of the manners outlined under the Household Food Waste and Bio-waste Regulations 2013. Does the Council collect waste from households? What are the benefits of separating my Packaging waste? There are significant environmental and economic benefits associated with recycling. Recycling helps create jobs, can be more cost effective than waste collection, reduces the need for new landfills, saves energy, supplies valuable raw materials to industry, and adds to the economy. Packaging waste is actually a resource; it can be re-used, recycled and recovered. All this will help create and secure jobs, help reduce our dependence on fossil fuels and improve our carbon footprint and assist in Ireland’s promotion as a green economy. I have a lot of old batteries in my house, how do I go about getting them recycled? You can return waste batteries to your local shop so long as it sells the same type of battery (E.g. your local newsagents will take any portable batteries like AA but not car batteries. Your local garage will take car batteries but not portable batteries). Unlike WEEE, with batteries you don't have to purchase anything in the shop to do this; you can just drop them in the WEEE Ireland battery boxes in the store. Just be careful when bringing back portable batteries to bring back less than 5kgs at any one time, and don't return any leaking batteries because the chemicals in leaky batteries can be dangerous to your health and the shopkeepers. You can also return your batteries to recycling centres and other collection points free of charge. I live outside the specified areas identified in the Regulations but I would like a brown bin, what do I do? If you live outside the areas as detailed in the Regulations and would like to avail of a brown bin you should contact your collector to ascertain if they can provide you with the service, alternatively you could give consideration to using a home composter. Can I change from my current household waste collector to another household waste collector? Yes, provided the new waste collector holds an appropriate waste collection permit (i.e. they are authorised to collect the various household waste streams). A full list of Household Door to Door household waste collectors operating in County Tipperary is available on the National Waste Collection Permit Office web site at www.nwcpo.ie/PermitSearch.aspx . Please note the Household Waste Collectors listed are those who made Annual Environmental Returns to NWCPO for North Tipperary & South Tipperary for waste collected during 2013. The National Consumer Agency (NCA) confirmed in their market research (conducted in November 2011) 3% of consumers switched waste provider in the previous twelve months (excluding those automatically transferred from Local Authority to a private operator). Information on their respective collection routes and collection rates are available by contacting the waste collector directly. What happens to my dry recyclable waste? When your collector empties your mixed dry recycling bin into the bin truck this is taken to an authorised treatment facility for processing, such as sorting and compacting (baling). Most packaging waste is now considered a resource. This type of waste can be processed at a materials recovery facility to separate it into single waste streams. It is usually compacted into bales prior to transfer for recycling / recovery. Is there anything I have to do to prepare my electrical items(WEEE) for recycling? Yes, in the case of fridges or freezers you must take out all the food and have them defrosted so that they don't make a mess and attract unwanted rodents during transport and recycling. With computers and other communication devices, don't forget to securely wipe the drives before recycling. With everything else, just make sure they are removed from their packaging, are as clean as possible and don't pose a health and safety risk to our friends at the recycling centres. How much does a waste collection service cost? Information on permit holders respective collection routes and collection rates are available by contacting the waste collector directly. I suspect my collector is putting my mixed dry recyclable waste into the same truck compartment as my residual bin, what should I do? Packaging waste collected for recycling / recovery shall not be disposed of. Some collection trucks may have dual compartments which mean they can collect two types of wastes simultaneously, however, if you have any concerns that source segregated waste is being re-mixed on collection please contact our Environment Section and our enforcement officers will investigate at customerservices@tipperarycoco.ie or on 0761 06 5000. What is the purpose of the Household Food Waste and Bio-Waste Regulations? The purpose of these regulations is to promote the segregation and recovery of household food waste and in doing so meet Irelands EU Landfill Directive and EU Waste Directive obligations on the protection of the environment, waste hierarchy, etc., and, National Policy. What about people who won't recycle their WEEE because they've heard it can be expensive and don't have much free time? Recycling WEEE is Free. What's more, it's very easy to do! All you need to do is remember to return your old items when buying new ones or hold on to them until there's a lot to be recycled and then take a short trip to your local recycling centre where you can recycle the goods free of charge. Also keep an eye out for WEEE Irelands special recycling events in your area. Each one of us has a part to play in making sure our planet doesn't get destroyed unnecessarily so always remember to recycle WEEE and remind others to do it too! How can I reduce my food waste? There are many ways to reduce your food waste and save money. It is estimated that households on average throw away 1/3 of the food purchased which equates to €1,000 worth of food every year, by doing this you are actually paying for it twice, the original purchase price in the shop and then paying your collector to take it away, there are also indirect costs of transporting it from the shop to your home and electricity costs to keep it refrigerated. You can cut down on food waste by carefully planning your menus and sticking to a shopping list, using your freezer wisely, using leftovers creatively, controlling your portion sizes and many other ideas and tips that can be found at www.stopfoodwaste.ie, and www.safefood.ie. Can I take my own household waste to a waste recycling or waste disposal facility? Yes, as long as it is your own waste. You must obtain a receipt from the facility confirming their acceptance of your waste. These receipts shall be retained should they be required for inspection by Authorised Officers of the County Council. How can I reduce my Packaging Waste? Can a farmer empty his own septic tank and spread it on his land? I think my neighbour’s septic tank is too close to my property. What are the minimum separation distances of a system to a site boundary, rivers, lakes, etc? I have a problem with my septic tank and want to upgrade it, can I apply for a grant? No, grants for improvements to septic tanks are not generally available. There is a grant available if the County Council have inspected your septic tank, have found a problem with it and issued you an Advisory Notice. (Please contact Tipperary County Council for more information). However, you may qualify for tax relief on these works under the Home Renovation Incentive scheme. Contact the Citizens Information or the Revenue Office for more information. Do I need to register my wastewater system with Tipperary County Council? Yes. If you are not connected to a public sewer and you have running water in your house you must register, whether you can locate the system or not. You can register on-line at www.protectourwater.ie or fill out an application form (these forms should be available at the CSD. The application fee is €50. You will not be eligible for a grant if the system was not registered before 01st February 2013. Should water from roofs and yards be connected to my wastewater treatment system? No. Roof and yard waters should not be connected to your wastewater treatment system. Clean water should be collected and discharged separately to a local watercourse or soak away. Should 'grey water' from dishwashers, sinks and washing machines be directed to my wastewater treatment system? Yes. Grey water should always be directed to the wastewater treatment system. Grey water is also a pollutant and if directed to the rain water system may cause contamination of waters. Take care with house extensions or alterations - don't connect any wastewater pipes to the rain water disposal system. My house is over 20 years old - how do I know if my Septic Tank is working effectively? Septic tanks prior to the 1990's may not be built to current standards and performance should be checked. You should check tank structure, provide access points for maintenance and de-sludging, replace soak-pits and pipes to drains (if present) with a properly designed percolation area exclude roof and yard water from the system. Consult a trained specialist in the area of domestic systems if necessary or in doubt. I have noticed ponding in my garden close to my wastewater treatment system, what should I do? This is a health risk particularly to children and domestic pets who may play in who may access this area. First of all you should arrange to have your system de-sludged. Then seek advice from a trained specialist in the area of domestic systems. You should treat the matter as requiring urgent remedial action. I want to get my septic tank /treatment system emptied, who should I contact? A contractor emptying septic tanks is required to hold a waste collection permit. Householders are obliged to check in advance that the contractors they use have the required permits and they should retain the receipt as evidence of properly emptying their tank. The following is a list of contractors authorised to empty septic tanks and other treatment systems. See List of Authorised Contractors list below. How often should a septic tank be emptied? In general septic tanks should be emptied every one to two years, but this will depend on the age of the system and the number of people using it. Inspect your tank; if the sludge or scum volume is greater than 30% or are close to the inlet and outlets of the tank it should be emptied. If you have a secondary treatment system with a pump or other mechanical device refer to the manufacturers guidelines; some of these systems require high levels of desludging and maintenance. Can a farmer empty a septic tank for a neighbour, and spread it on his land? No. Septic tank wastes contain high levels of bacteria and other potential disease-causing organisms. They should only be handled by contractors with the correct equipment and facilities for their safe treatment and/ or disposal. A contractor emptying septic tanks is required to hold a waste collection permit. Householders are obliged to check in advance that the contractors they use have the required permits. SERVICE FOR HOUSEHOLDERS IN TIPPERARY TOWN.